Kris Lees’s Polytrack Provincial Championships assault gathers further momentum at Hawkesbury on Saturday where he is likely to have four representatives. 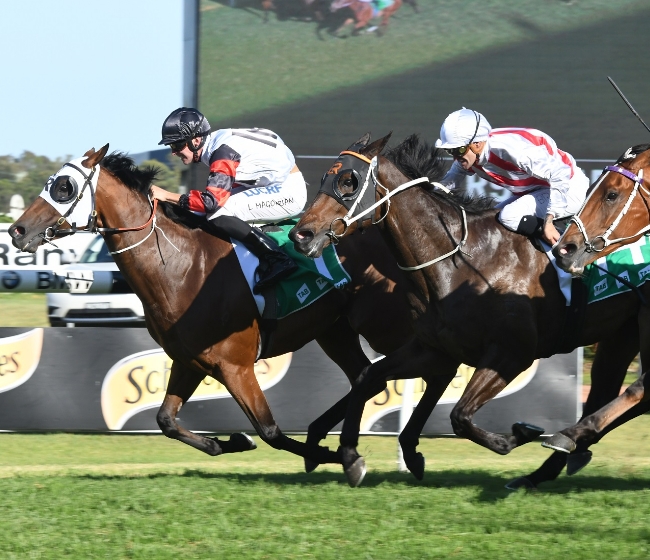 Twenty-one horses have been entered for the second qualifying heat at Hawkesbury, with the three placegetters automatically going into the $500,000 Final over 1400m at Royal Randwick on April 14. Lees, who won the 2016 final with Danish Twist (Damien Oliver) after finishing second with Electric Power in the inaugural 2015 Final, already has qualified Just Dreaming for this year’s Final – courtesy of her brilliant victory in last Saturday’s opening 1350m heat at Wyong. As there is still just under six weeks to the series finale, Lees is keen to have a throw at the Coolmore Classic stumps with Just Dreaming – if she makes the field. The $600,000 Coolmore (1500m) for fillies and mares – a Group 1 feature his late father Max won a remarkable five times – will be run at Rosehill Gardens on March 17. Lees intends also starting both Danish Twist and New Zealander Aide Memoire, so he may have three Coolmore runners. Danish Twist followed an excellent first-up third at Warwick Farm last month with a disappointing last of nine to Dixie Blossoms in last Saturday’s Guy Walter Stakes (1400m) at Royal Randwick, but things didn’t go her way. Aide Memoire, at only her second start since joining Lees team, finished seventh in the Guy Walter without having any luck at all in the straight. Rider Jason Collett afterwards was cautioned by stewards about his lack of vigour on the mare in the closing stages: “She’s a genuine wet tracker and is a definite Coolmore chance if she strikes that sort of ground,” Lees said. Stablemate Sugar Bella, unbeaten in three starts for Lees, will run in Saturday’s Group 3 Wenona Girl Quality (1200m) if she pleases in a track gallop in the morning. Sugar Bella is currently $6 second favorite behind Just Dreaming ($4.60) for the Provincial Championships Final, but will be ineligible if she wins the Wenona Girl. Karavali will line up in the Aspiration Quality (1600m) at her second run this campaign after an excellent first-up performance at Canterbury Park last month. Promising three-year-old Furore made it four wins from as many starts with an impressive 2100m Wyong performance last Saturday, and may be given his chance in the $2m Group 1 Australian Derby (2400m) at Randwick on April 7. Singing and Admiral Jello have been nominated for both Saturday’s $125,000 Randwick City Stakes (2000m) and Sunday’s $200,000 Canberra Cup (2000m). Singing is also an entry for the Open Handicap (2200m) at Doomben.